One process that is common to many organizations is the Approval or Voting carried out by a Committee, Meeting of Shareholders or Board of Directors. There are many ways to carry out the voting (by email, forms, meetings or phone calls), but few of them are really efficient, many times delaying the decision-making process. 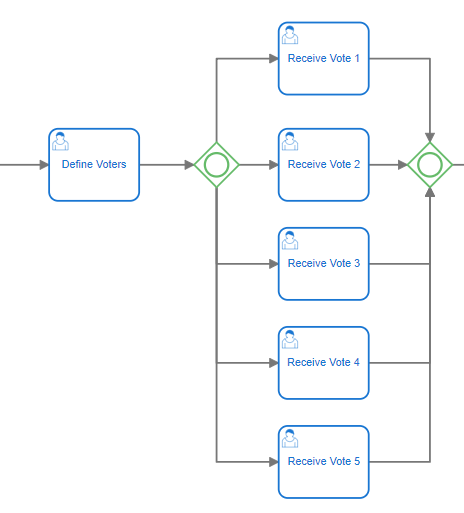 In this post, we will describe a process that can be easily set up in Flokzu to ensure and facilitate the simultaneous voting of several people. Let’s think of 5 voters (in this example, members of a committee). We want all of them to vote -without knowing what the others have decided- and we also want that the process can’t move forward unless everyone has voted. 1. 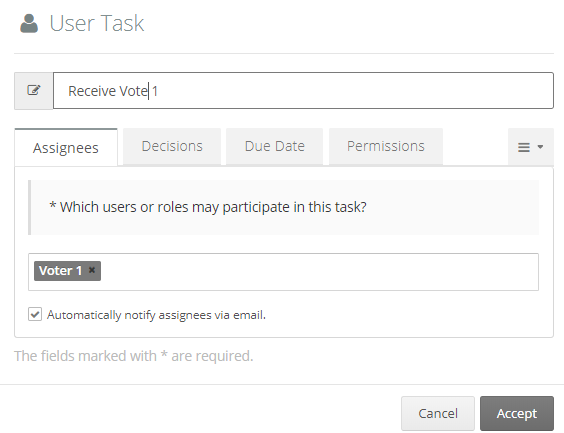 Define 5 form fields in which the name of each voter will be selected. These fields must be of the combo-box type. If the voters are fixed (are not chosen in each voting instance), this step is not necessary. 3. Use an inclusive gateway to divide the flow in 5 paths. 6. Join the 5 paths again using another inclusive gateway. In this way, the process will ‘wait’ until it has received the 5 votes. 7. 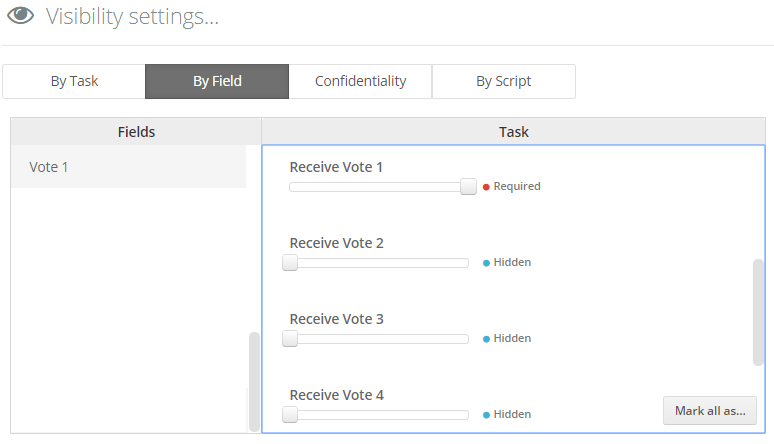 In the “Visibility settings’, define the visibility for the Vote type fields (Vote 1, Vote 2… etc.) 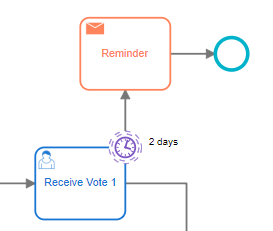 In the task ‘Receive Vote 1’, you should only select the field ‘Vote 1’ as required, and the same for the rest of the tasks.